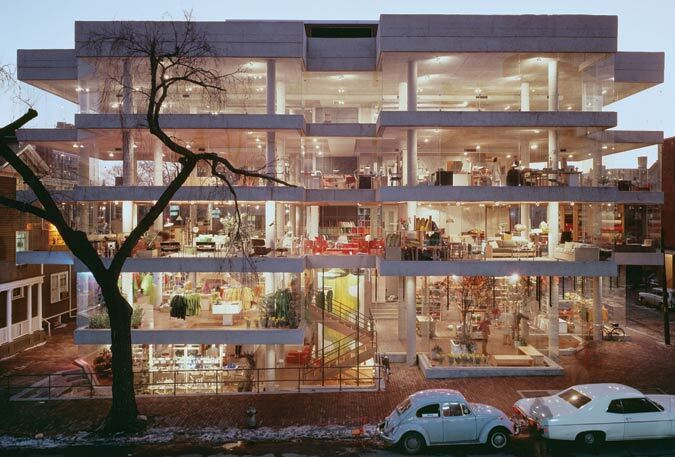 The iconic D/R store in Cambridge, Massachusetts, opened in 1969, made a powerful urban statement while signaling the future of seductive retail design. The name of the store, Design Research, suggested that the project was vast. By its very nature, design is a never-ending process of inquiry. Like most large ideas, the name got condensed to something bite-sized: D/R. This new book is about architect Ben Thompson as much as the store he created. Call it Big Ben, Part 1. One of the authors of this volume, his widow Jane Thompson, is at work on a memoir, Big Ben, Part 2. Thompson is one of those architects that mostly only other architects know about, but his impact went far beyond the converted. Thompson’s early houses and academic buildings in the 1940s followed the quiet modernist lead of his partner at The Architects’ Collaborative, Walter Gropius. Thompson didn’t produce his most significant architectural work until he struck out on his own in the 1960s, integrating retail into the fabric of the city. He did this most famously at Faneuil Hall in Boston, South Street Seaport in Manhattan, and Harborplace in Boston. His abilities in this area no doubt grew in part because of his hands-on retail experience at D/R, which he founded in 1953. Design Research educated generations of Marimekko-loving modernists who would go on to shop at Design Within Reach, Crate & Barrel, Pottery Barn, and Conran, as well as at smaller modernist shops across the country. Even the D/R price tags would inform the shopper of the item’s design provenance. 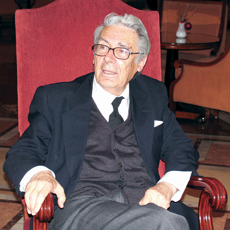 Thompson created some great shops, but more profoundly, he also changed the culture. New Yorker architecture critic Paul Goldberger outlines this accomplishment in his afterword. 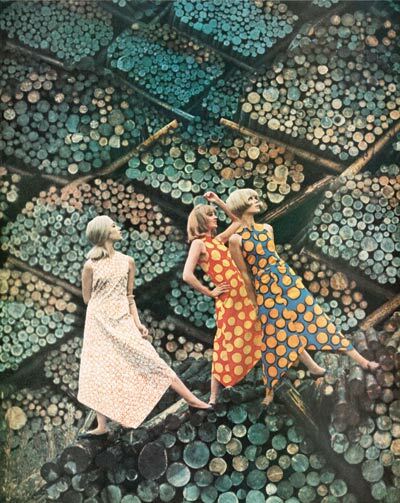 MARIMEKKO DRESSES CAPTIVATED THE FASHION NATION AFTER D/R INTRODUCED THEM IN 1959. Rob Forbes, founder of Design Within Reach, perhaps the most famous recent domestic design emporium, writes a foreword that discusses his own debt to Thompson and D/R. In between the two essays, Jane Thompson and her coauthor, architecture and design journalist Alexandra Lange, have built a structure for the book as transparent yet nuanced as Thompson’s own concrete masterpiece of a building for D/R in Cambridge, Massachusetts. In some ways, it is a tragic narrative about a creative man, his vision, his success, his zenith, his loss, and his legacy—one that is told, oddly enough, through the lens of a small chain of cutting-edge design stores. The authors quote Thompson’s unpublished memoirs throughout, yet they also went to a lot of trouble to find several former D/R employees (including the late New York Times architecture critic Herbert Muschamp) and weave their viewpoints into an ongoing oral history that peppers the more formal essays. (Speaking of pepper, it was Thompson who brought us those great Peugeot pepper mills.) This parallels the way Thompson worked, asking the staff for their input and giving them a strong voice in the store’s look and direction. There are also reproductions of significant articles about D/R, including Janet Malcolm’s fine essay from the November 7, 1970, issue of The New Yorker. The book reproduces the excellent professional photos of the store on Brattle Street in Cambridge, but there are few professional shots of the other locations. To compensate for this, the graphic designers at Pentagram use a lot of yellow type, yellow pages, and white space. Other than the hairstyles and automobiles in the photos, the layout of the book and the designs contained within are perfectly matched and timeless, which speaks to Thompson’s prescience. Of course, it wasn’t just his good taste that made the store bloom so brightly. Thompson had a few lucky breaks, like Jackie Kennedy sporting a Marimekko dress on the cover of Sports Illustrated and Julia Child asking the store for help with cookware and set design when she launched her cooking show. Media helps. But as the book points out, Thompson hired talented people and let them fulfill his vision. The authors are to be commended for allowing some of the negative aspects to be told, like other more outmoded hiring policies that Thompson employed. It’s part of the history. In his own retail environment, Thompson was able to create a complete environment where interiors and architecture could come together, and it lasted a quarter of a century. His genius was for creating the armature for all kinds of creative reinvention, whether it was as chairman of Harvard’s Department of Architecture, as the father of festival retail, or as the creator of Design Research. A key part of the history is tucked away on the last page of the book, before the list of contributors, telling of the chain’s demise. The opening of Thompson’s great architectural achievement at 48 Brattle Street in 1969 took place under a cloud of litigation that resulted from a hostile takeover. No doubt there is a larger tale yet to be told. Can a business that prioritizes a creative vision of excellence over quarterly earnings survive? Or are all businesses now short-lived until the next takeover and eventual bankruptcy? That isn’t the tale of this volume. But perhaps Jane Thompson’s memoirs will tell us more about how her husband created a successful business where design came first. One former employee told me that the book should have been titled “D/R: A Love Story.” You can feel the love on every page. Read all of AN's Friday Reviews here. Nearly one in four New Yorkers is Jewish. Some of them go to synagogue and some do not. Some hang mezuzahs on their doors, light Chanukkah candles, and fast on Yom Kippur, and some do not. But it is safe to say, due to the confines of the city, that few of them build sukkahs, the traditional shelters constructed in the fields in ancient times during the harvest festival of Sukkot. It is a practice that continues in Jewish backyards and synagogue parking lots worldwide. But outside of Chasidic communities of the city—where in the fall, the structures are plainly visible on each and every balcony—they are highly uncommon within the cramped quarter of New York, not least because Talmudic law forbids sukkahs inside. Hoping to challenge not only New Yorkers’ notions about sukkahs but also the world’s, Joshua Foer has launched Sukkah City for this coming Sukkot. 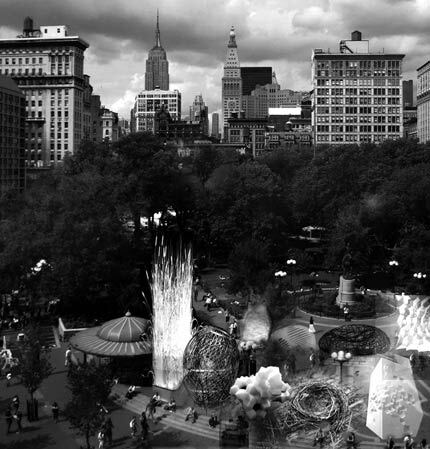 From September 19–21, a dozen experimental sukkahs will be constructed in Union Square Park, created by what Foer anticipates will be a mix of the world’s foremost architects and artists, though the competition is open to anyone, goyim included. “The idea is to take this ancient architectural identity and reinvent it and really see what we can do with it, to really push the boundaries,” Foer said. For millennia, sukkahs have looked about the same. Three walls of varying dimensions and orientations with a roof made of organic matter—palm fronds, sugarcane, or cornhusks are among the common foliage—where more sky is visible than roof. A place of hospitality and reflection, it exists for just eight days. And it is within these relatively strict yet open-ended constraints that Foer and his partner on the project, critic Thomas de Monchaux, hope entrants will explore. 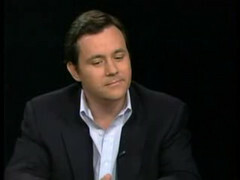 Foer, a journalist who is the younger brother of New Republic editor Franklin and author Jonathan Safran, said he came up with the idea for the competition while building a sukkah last year in his backyard, using instructions he had found online, which he said he enjoyed but also thought could be done much better. Discussing the idea with de Monchaux, who also teaches at Columbia University’s architecture school, they eventually developed the idea for the competition. 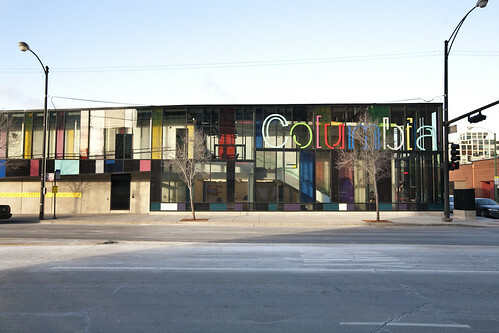 The competition is viewed as a fusion of the early days of the Venice Biennale and the P.S.1 summer pavilion competition. Each of the 12 teams selected will be given a decent budget—especially with the relatively modest scale of the project—and the expectation that, like the Israelites before them, they build the structures themselves. Entrants must contend with the 30 or so design constraints drawn from religious texts, each with thousands of historical variations and interpretations, both rabbinical and architectural. These can be found on the competition website, as well as a registration, which must be completed by July 1 with designs due a month later. 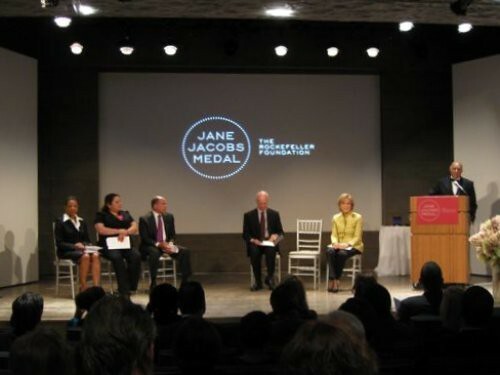 A distinguished jury from across the design and cultural landscape has been selected, many of whom have Jewish roots. The jury consists of architects Thom Mayne, Adam Yarinsky, Ada Tolla, and Michael Arad; critics Paul Goldberger, Steven Heller, Geoff Manaugh, and Allan Chochinov; artists Maira Kalman and Natalie Jeremijenko; designer Ron Arad; AIA New York Chapter executive director Rick Bell; and de Monchaux. Foer said he fully expects the event to become an annual one—not unlike the holiday itself—with hope for future outposts around the world. He added that there is plenty of programming planned for the sukkahs. “We don’t want this to be some dead village or ghost town of architecture,” he said. The weekend after the Union Square unveiling, the dozen Sukkahs will move to Flushing Meadows for Maker Faire, a DIY festival hosted by Make magazine. Reboot, an organization that seeks to reinvigorate Judaism through fusing ancient and modern practices, is providing logistical and financial support for the competition. The group’s co-founder, Roger Bennett, said he was particularly excited about the possibility to inspire not only Jews but all New Yorkers. “Once this city of Sukkahs is actually constructed in Union Square, we’ll be focusing on the values of hospitality and invitation and making this a place where groups that don’t normally come together, to bring them together and celebrate,” Bennett said. 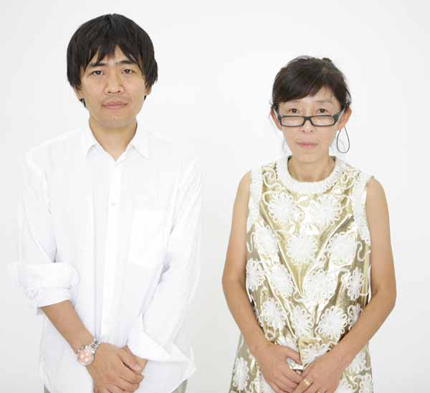 Kazuyo Sejima and Ryue Nishizawa of SANAA have been named the 2010 Pritzker Prize Laureates, architecture’s highest honor. Partners for more than 15 years, the pair have designed singularly refined houses, museums, and educational buildings in their native Japan and around the world. Among their best-known works are the O-Museum in Nagano, Japan; the Toledo Museum of Art’s Glass Pavilion in Ohio; the New Museum in New York; and the new Rolex Learning Center in Lausanne, Switzerland. 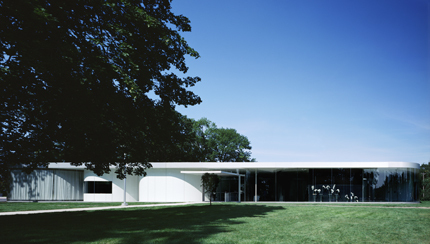 The Glass Pavilion at the Toledo Museum of Art (2006). In the New Yorker, Paul Goldberger wrote of the New Museum, “the building is original, but doesn’t strain to reinvent the idea of a museum. Sejima and Nishizawa have a way of combining intensity with understatement.” In each of their projects, SANAA seems to start from scratch, investigating new forms and materials, and employing innovative spatial, surface, and programmatic elements. 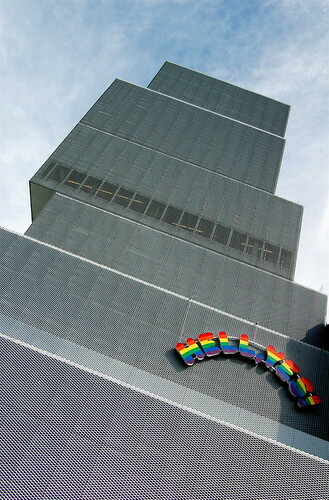 The New Museum in New York (2007). In an interview with Victoria Newhouse for Architectural Digest, Sejima said the Glass Pavilion’s structural glass walls “show a different kind of relationship between spaces. Everyone can see the relationship between different functions and different spaces." In terms of Pritzker politics, the recognition of SANAA’s two partners seems to address two criticisms that have trailed the prize: the absence of female laureates—with the exception of Zaha Hadid in 2004—and the omission of recognition for Denise Scott Brown along with her husband and collaborator Robert Venturi in 1991. Jacques Herzog and Pierre de Meuron, laureates in 2001, are the only other partnership in which both principals have been honored. The members of the jury, chaired by Lord Peter Palumbo, include Alejandro Aravena, Rolf Fehlbaum, Carlos Jimenez, Juhani Pallasmaa, Renzo Piano, Karen Stein, and Executive Director Martha Thorne. Sponsored by the Chicago-based Hyatt Foundation, the Pritzker Prize comes with a $100,000 prize and a medal based on a design by Louis Sullivan. 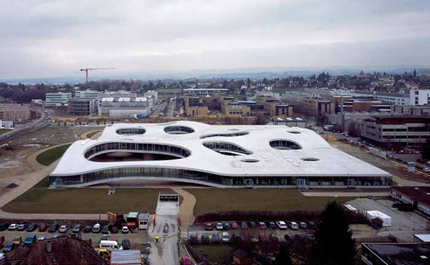 The Rolex Learning Center in Lausanne, Switzerland (2010). I’ve never loved the New Museum Building, in part because I know what SANAA is capable of achieving. The Glass Pavilion at the Toledo Museum of Art, which was completed in 2006 (preceding the New Museum by about a year), is a truly original building, technologically inventive and formally stirring. 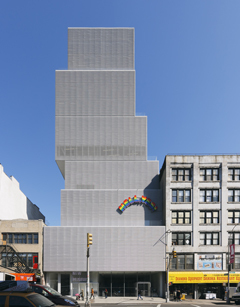 A one-story structure, it soars--far higher than the New Museum’s teetering tower ever will. And yet I appreciate the New Museum for what it is: an ethereal, sculptural presence, a kind of apparition. It never looks better than it does at night, glowing, hovering, seemingly unconnected to the city grittiness around it. Its facade is gauzy, gossamer, “less like a wall than a scrim,” as Paul Goldberger wrote in the New Yorker. Which is why the decision to place a heavy, kitschy artwork on the façade is so infuriating. 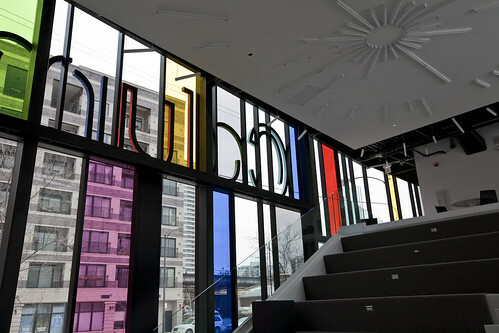 When the museum opened in 2007, the artwork--a rainbow hued sign that declares Hell, Yes!--was described as a temporary adornment. 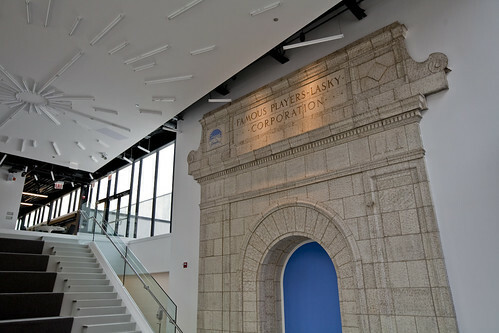 Now, according to the museum’s communications director, Gabriel Einsohn, it is a “semi permanent” installation; the museum has no plans to remove it. The piece is by Ugo Rondinone, whose, work, according to the New Museum website, “explores notions of emotional and psychic profundity found in the most banal elements of everyday life.” Perhaps. The quality of the artwork, which resembles a Hello, Kitty logo, is beyond my ken. I do know something about architecture. And the Rondinone piece directly undermines SANAA’s objective: The architects chose to make the thickness, the weight, even the precise location of the building envelope ambiguous. Hanging a heavy object from that envelope changes everything, for the worse; imagine wearing a campaign button on a wedding veil. Museums are too often willing to demean their architectural treasures. (How many times has the Whitney proposed working its Marcel Breuer building--to which the New Museum, incidentally, owes a great debt--into some larger composition?) Frank Gehry’s IAC building is in the same boat as the New Museum. After the West Chelsea structure was complete--and after the architectural photographers had shot it as Gehry designed it--the company added two neon signs, on the north and south facades, that say IAC. As at the New Museum, they take semi-transparent, ambiguous surfaces and render them static and heavy, like turning the lights up when a magician is trying to perform a trick. But at least you can understand why IAC, which is a commercial enterprise, would want its building to say IAC. There, the signs represent a rational, if regrettable, decision. The New Museum has no excuse. It should have said, "Hell, No!," instead of 'Hello, kitschy." Love Nicolai Ouroussoff or hate him, Alexandra Lange's takedown, "Why Nicolai Ouroussoff Is Not Good Enough" on Design Observer, is a highly engaging read. The design community seems to tire of its most visible critic after a few years, and Lange begins her piece by revisiting Michael Sorkin's takedown of then Times critic Paul Goldberger from the mid 1980s. Many of us recall a similar fatigue that set in during Herbert Muschamp's time on the job. Lange, a frequent contributor to AN's "Crit" column, hits Oroussoff with a three pronged attack, with sections subtitled, "He Doesn't Seem To Live in New York City" (a jab at his globetrotting), "He's Slippery" (on vagueness of his writing), and "He Doesn't Care" (an accusation that he's passionless). She is anything but passionless: "When I see a terrible building, or even just one with large, windy, unmanageable public spaces, I get mad," she writes. The popular press could always use more voices with such informed conviction. 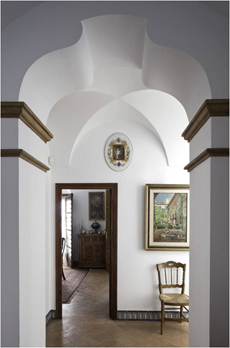 The Spanish architect Rafael Manzano Martos will receive the 2010 Richard H. Driehaus Prize at a ceremony in Chicago on March 27. 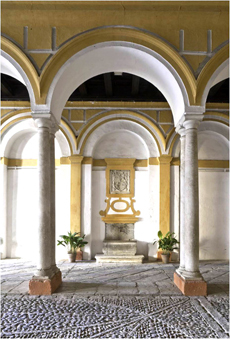 The $200,000 award is the largest prize for classical architecture in the world. 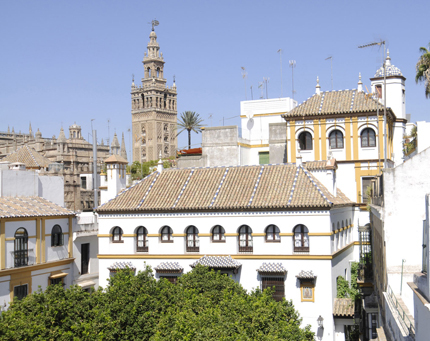 Manzano is known for his work in the Mudéjar style, a blend of Christian and Muslim forms that emerged in Spain in the Middle Ages. The Yale architectural historian Vincent Scully is being honored with the Henry Hope Reed Award, a $50,000 honor. In addition to Lykoudis, the prize jury includes Paul Goldberger, architecture critic for The New Yorker, David M. Schwarz, principal of David M. Schwarz Architects, Adele Chatfield-Taylor, president of the American Academy in Rome, Robert Davis, principal at Arcadia Land Company and Founder of Seaside, Florida, and architect Léon Krier, a previous Driehaus Prize recipient. The Reed Award is given to non-architects. “Scully is a champion of architectural preservation. Since the ‘urban renewal’ efforts of the 1960s and ’70s, he has condemned sprawl and advocated livable and sustainable urban design,” according to a statement from the university. The award is Scully’s most recent accolade among many. He has previously been awarded a National Medal of Arts as well as the National Building Museum’s highest honor, which bears his name. The Casa Fernando Chueca (Top). 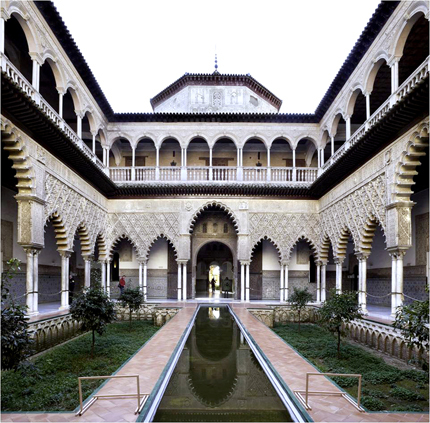 INteriors of the Alcazar (bottom left) and Plaza de dona (bottom right). A ROYAL BRUSH-OFF Condé Nast’s Women’s Wear Daily reports that Jeffrey Nemeroff, Architectural Digest's longtime art director, has parted ways with the magazine following a contretemps with editor-in-chief Paige Rense: “Nemeroff, who like much of the magazine’s editorial staff is based in California, is also a painter who recently had a show at the Neuhoff Gallery in New York. 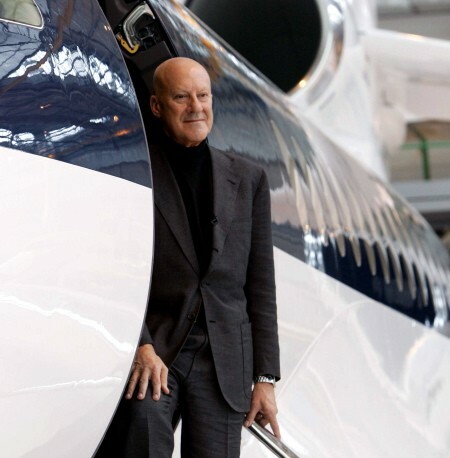 In May, New York magazine’s Daily Intel blog reported that Rense had called designers to discourage them from attending Nemeroff’s opening and celebratory dinner. Rense told New York’s Steve Fishman that designers believed Architectural Digest was directly involved and felt pressured to purchase a painting. She also said she had been ‘blindsided’ by the event, though the gallery owner was quoted saying Rense had given the show her blessing months earlier.” Nemeroff is not talking, but others are. A couple of designers told Eavesdrop that “pressure” flows in both directions. They said that Rense “encourages” the inclusion of renowned color-field painter Kenneth Noland’s work in photo shoots for the magazine, and his work has appeared on at least one cover. (Noland is her husband.) Double-standard alert! LEARNING ANNEX It’s not just the air-conditioners whining: We’ve heard complaints from a few vendors at this year’s AIA convention in San Francisco that the Moscone Center’s pro-union loyalty got a little out of hand. Apparently some booth installations were too complex for local contractors, but since the convention center insists on union work, companies had to hire union workers to stand around and watch as their builders put the displays up. Costs were doubled, and it all looked a little farcical. Maybe union dues should include a CNC-milling social. THE COMPANY HE KEEPS Paul Goldberger’s newest self-help book, Why Architecture Matters (Yale University Press) imparts lots of wisdom to architecture aficionados and its anecdotage is gleaned from a wide range of sources, some quite arcane. (Has Trystan Edwards’s Good and Bad Manners in Architecture from 1924 time really come?) 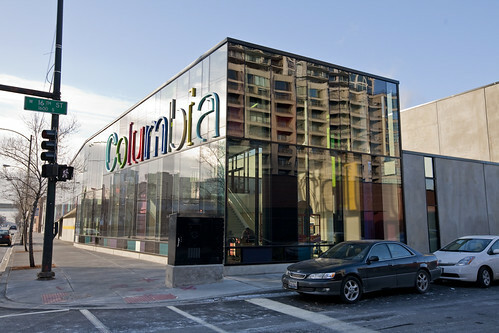 In fact, Goldberger’s very title belongs to a 2003 book by Chicago architecture critic Blair Kamin, who is however one of the very few from a new generation of talented architecture writers, along with Christopher Hawthorne, singled out for acknowledgment. Send tips, gossip, and galley proofs to Eavesdrop@archpaper.com. A version of this article appeared in AN 05_07.15.2009 CA. Two years later and 2,462 miles away from its New York origins, Postopolis (sorry, Postopolis!) made its second appearance on the left coast. The five-day blogathon was held on the preposterously chilly roof of Andre Balazs’ Standard Downtown, where it was so cold that fingers froze to laptops and the Belvedere greyhounds were served hot in mugs. Meanwhile, about half of those watching the string of architects, designers, and the odd counter-terrorism detective paraded onto the Astroturf by bloggers Geoff Manaugh, David Basulto, Regine DeBatty, Bryan Finoki, Dace Clayton, and Dan Hill, surely felt another version of the cold shoulder: Out of the 62 people on the podium, only 13 were female. You’ll be happy to know that the only panel with a healthy male-to-female ratio featured both your faithful Eavesdropette and fellow AN editor Matt Chaban. We’ve heard Michael Rotondi is hard at work redesigning the Flea-founded Silverlake Conservatory of Music, a job that’s apparently on the hush-hush… Students at SCI-Arc have designed a shimmery pavilion for this month’s Coachella Music Festival. Perennial pavilion-makers and class instructors Benjamin Ball, Gaston Nogues, and Andrew Lyon assured us that mushrooms will be administered on-site to truly appreciate the structure’s nuanced detail… And then there were three: According to our sources, the Broad Foundation has narrowed its list for their new museum in Beverly Hills down to three firms: It’s now a face-off between Christian de Portzamparc, Thom Mayne, and Shigeru Ban, and nary a single Renzo.